Larkin Lanier left Georgetown, South Carolina, nine years ago. Four years at Fordham University and another five as a copywriter at an ad agency has given Larkin a life of sorts in New York “where people seemed to care only about where you were going, not where you’d been.” She has returned to Georgetown only for an obligatory Christmas visit when she could not escape one, and she doesn’t even answer the phone calls of her father who disillusioned her so thoroughly that she cannot forgive him. However, when the woman she thinks of as her grandmother calls to say that Larkin’s mother has disappeared, Larkin knows that she cannot refuse to return to the place that still claims her, regardless of the miles and the years that separate her from home. Ivy Madsen Lanier, Larkin’s mother, is found by her daughter in the wreck of Carrowmore, once the legendary home of her mother’s family, the Darlingtons. Carrowmore was destroyed by the fire in which Ivy’s mother, Margaret Darlington Madsen, perished and which two-year-old Ivy survived. As Larkin searches for the reason her mother was in the shell of a house and uncovers secrets that stretch half a century into the past, she also learns secrets of her mother’s life and finally comes to terms with the events from her own past that have left her hiding from life and from home. Sessalee “Ceecee” Purnell, daughter of a Methodist pastor and his wife, Martha “Bitty” Williams, daughter of educators, and Margaret Darlington, only child of the wealthy Darlingtons have been best friends since first grade. In 1951, just after their high school graduation, they celebrate their new status as adults with a trip to Myrtle Beach where they meet brothers Boyd and Reggie Madsen. The lives of all five young people are forever changed. Margaret dies in a fire, and Ceecee, with assistance/interference from Bitty, rears Margaret’s daughter Ivy and loves her as her own and protects Margaret’s secrets. The novel moves between the twenty-first century (2010) where twenty-seven-year-old Larkin cannot move beyond key experiences of her youth and Ivy drifts between life and death and the mid-twentieth century where Ceecee, Bitty, and Margaret learn hard lessons about life and friendship and loss. Karen White gives her readers another evocative novel about women’s relationships as friends and as mothers and daughters. Secrets and the complicated bonds of family and friendship are recurring motifs in White’s novels. The skill with which White handles these themes and her lucid prose with its wonderful lyrical moments made my first response to this novel fangirl enthusiasm. She also has an enviable sense of place that gives her settings an appealing dimensionality. A second, more critical assessment forced me to acknowledge that the three narratives are uneven in power. The 1950s storyline is the strongest. White’s characterization of the three friends—the introverted, ambivalent Ceecee, the artistic, unconventional Bitty, and the privileged Margaret—is vivid and engaging. It is even more remarkable because she makes Ceecee and Bitty real for her readers both as young women and as septuagenarians. Ivy is a much less substantial character colored by loss and regret to such a degree that she seems more ghost than character. Some may see this as fitting given her physical state, but I wanted to know more of her. I had mixed reactions to Larkin. I found her sympathetic as a character who never had the connection with her mother that she needed, and her relationships with Mabry and Bennett were also compelling. However, she seemed a very young twenty-seven to me and largely untouched by her college years. The high school trauma as defining moment, a popular trope in women’s fiction and romance, always leaves me alternately scoffing “Really?” and wondering if my own high school experience was lacking since shaping experiences came before or after that period. 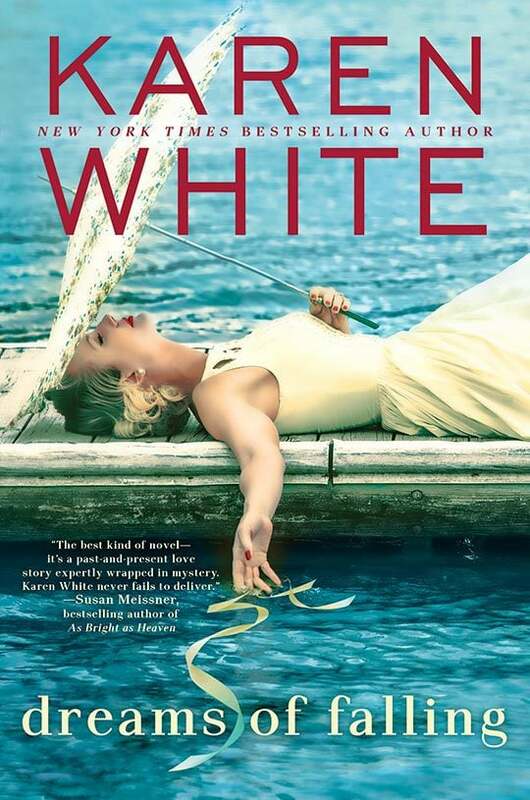 Overall, I recommend this book to readers who have enjoyed other Karen White books, to fans of Southern fiction, and to readers who like women’s fiction that demonstrates with Faulknerian grace that the past is never really past. The characters will interest you, and the plot will keep you turning pages. Nevertheless, I don’t think this one reaches the five-star level of The Beach Trees, The Time Between, and some of the Tradd Street books. So do I. She is an auto-buy author for me and has been since I read my first book by her when she visited the old Eloisa James bulletin board. I hope you enjoy this one.